Products | HANSE Group s.r.o. Vehicle chassis parts, such as suspension arms, ball joints, stabilizer links, and steering system parts are very important units since they are responsible for the steering response and the road stability. HANSE suspension parts are designed based on consumers requirements to their vehicles, either SUV or a high-speed sports car. 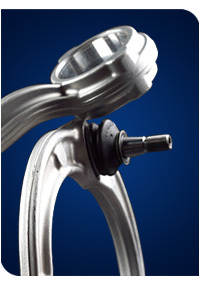 Whether you need maximum comfort or most precise sports characteristics, HANSE parts will ensure both. HANSE Group supplies its products for more than 200 car brands of European, Japanese, Swedish and Korean vehicle manufacturers. 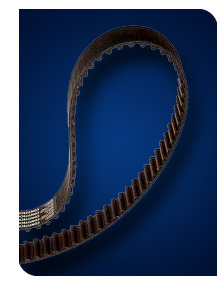 Driving belts are used to torque transmission from the engine to auxiliary units. The timing belt is required to ensure precise operation of the engine. Both belts are inseparably associated with the safety of vehicle operation. This is why HANSE Group pays special attention to the technology of manufacturing the belts and to assurance of their quality at every stage. Driving belts and timing belts are supplied for engines of vehicles of the world’s leading trademarks, such as AUDI, FORD, OPEL, VW, RENAULT, TOYOTA, MAZDA, NISSAN, HONDA, HYUNDAI, SCANIA, IVECO, MAN, VOLVO, DAF, etc. 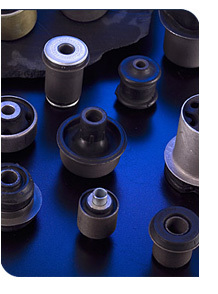 Manufacture of a vehicle requires over 200 different rubber technical parts: rubber bushings, bushes, cover boots, joint ends, rubber shock absorbers, etc. Each has its own function. Some of them are designed to protect units from dust and dirt; other parts are used to connect different parts of the vehicle chassis or to reduce vibrations of unit assemblies. And there are special requirements for each of these goods. That is why manufacturing rubber technical parts HANSE uses various technologies and cutting edge developments. Individual approach of engineers and designers to every particular product allows the company to achieve special characteristics perfectly meeting future conditions of operation of the product.